October 20, 2011 April 21, 2012 Pamela2 Comments on US Latinos consuming more wine, but is anyone paying attention? US Latinos consuming more wine, but is anyone paying attention? 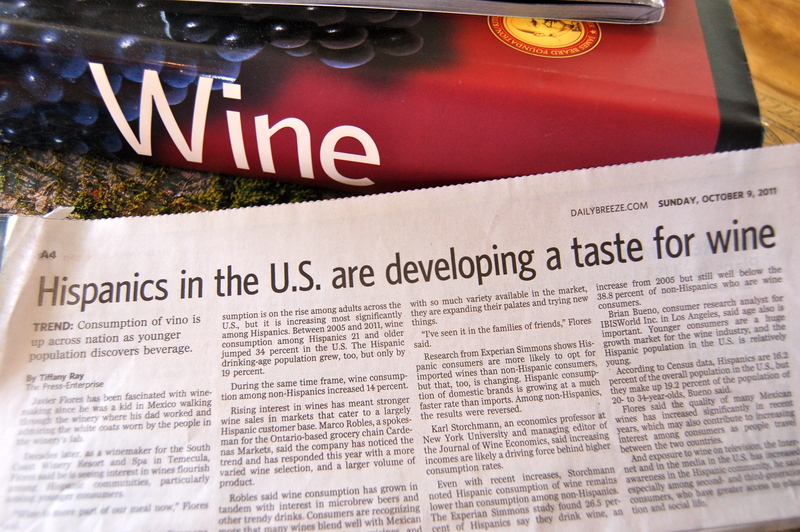 Earlier this month I came across an article entitled “Hispanics in the U.S. are developing a taste for wine” (Daily Breeze, Oct. 9, 2011 page A4). The article cited research from Experian Simmons that indicated U.S. Latinos are leading the pack with regard to increased wine consumption as compared to non-Hispanic adults. To be more specific, Hispanics 21 and older drank 34 percent more wine between 2005 and 2011 than in previous years, while non-Hispanics of the same age saw an increase of only 14 percent. Wow, I thought. More blog traffic! All kidding aside, I had seen the U.S. Census figures, and I realized that this trend could have a significant impact on the wine industry. Thrilled by the idea that more Latinos were discovering the wonders of wine, at the same time I panicked and thought somehow I’d missed the piñatas and confetti that heralded the findings. Not only was I unable to find the article itself online (I have a PDF of the hard copy for those of you who can’t get enough of my museum-quality photo), but I learned that the research was released back in March. Apparently nobody was all that interested, so here it was again in October with a new spin (interviews with a local Hispanic winemaker and a spokesperson for a Hispanic-owned grocery store chain). So, what gives? Or as my father says, ¿Qué cosa? Before we go down that path, today I came across another article about a new ad campaign that plays on the Spanish word for crazy. Hmmm….wonder why that is. Maybe it’s because ‘crazy’ is how we all describe our feelings for wine. Could be because ‘loca’ evokes a certain Ricky Martin song, which makes me want to get up and salsa, and maybe pour myself a glass of sangría while I’m at it. Or perhaps it’s because of the sheer romance of the Spanish word ‘loca‘ and its link to California history and winemaking. My opinion is that it will be a while before the wine industry begins taking Latino wine drinkers seriously. Which, if you read between the lines, means that they are not taking us seriously now. A little disheartening, no? Not to beat a dead caballo, but maybe to demonstrate that I am not the only one who thinks this way, I found yet another story dating back to March of this year from the Dallas Observer blog. This one notes that there isn’t a whole lot of information out there about Latino wine consumers. The good news is that the Texas wine industry has taken note and that the Texas Wine Marketing Research Institute did some preliminary research in 2010. More to come, it seems. My conclusion: Don’t wait for the wine industry to notice us. Use this time to cultivate your appreciation for wine, and invest some energy into educating yourself on its intricacies, subtleties and history. Enjoy wine with friends, family and food. And as a Napa Valley winemaker of Hispanic heritage told me, don’t be afraid of wine. Explore, taste and ask questions. And if you feel like it, put on a little Ricky Martin and get all loca with it. SPREAD THE AMOR AND SHARE THIS! I do not feel suprised at all for the repetition of aticles, they do it here even with out the twist of updating!!!! it is amazing how editors think readers forget or do not care, or do not READ!!!! i do not know which is worst!!! La buena noticia es que, definitivamente, los latinos estamos disfrutando la vida y consumiendo más y mejores vinos!!! ¡Es cierto! Pero qué lindo que nuestra cultura aprecia lo bello de la vida, sobre todo la gastronomía, los vinos y el amor de la familia y los amigos. ¡Salud! Help Señorita Vino® win Top Food and Drink Blog! Vote for My Blog on LocalWineEvents.com! Get your weekly Señorita Vino®! Unauthorized use and/or duplication of this material and the copyrighted mark Señorita Vino® without express and written permission from this blog’s author and/or owner is strictly prohibited. 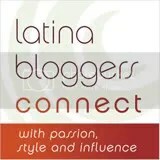 Excerpts and links may be used, provided that full and clear credit is given to Señorita Vino® and LatinaWineBlogger.com with appropriate and specific direction to the original content. SEÑORITA VINO® IS A REGISTERED TRADEMARK.